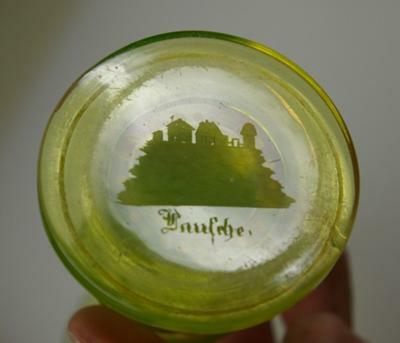 The green German glass vase was passed from my German grandmother who lived in Merching in the Aichach-Frieberg district of Bavaria Germany, to my mother who passed it down to me. The only thing I can remember is that when my grandmother gave the green glass vase to my mother she described it as being extremely old. Sadly both my mother and grandmother have passed away so there is no way of getting any additional details. 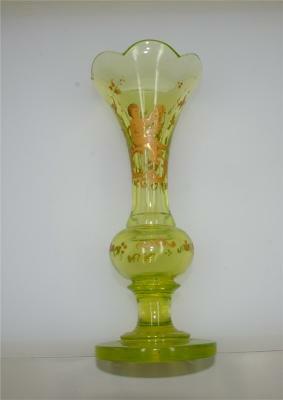 This German green glass vase stands about 9 inches tall with engraved makers information on the bottom. The text is in old German shrift. 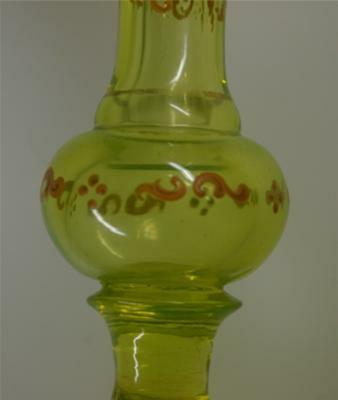 The vase is a very attractive light green glass with nicely painted details. 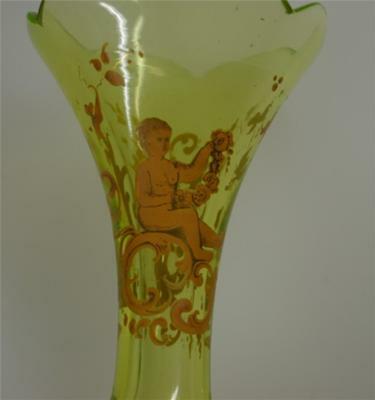 I have not been able to find any information about the maker or time period when the green German glass vase would have been made or if it has any value.